There were 483 press releases posted in the last 24 hours and 153,467 in the last 365 days. 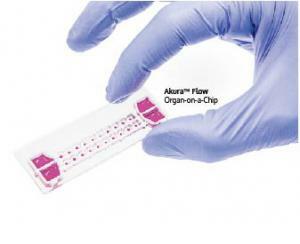 SCHLIEREN, ZURICH, SWITZERLAND, February 1, 2019 /EINPresswire.com/ -- The February 2019 issue of the scientific journal SLAS Technology showcases the innovative, scalable microfluidic platform that inspired InSphero’s new organ-on-a-chip system: Akura™ Flow. InSphero Head of Technology and Platforms Dr. Olivier Frey and co-authors from Prof. Andreas Hierlemann’s bioengineering lab at ETH Zürich were invited to contribute the article for the journal as top finalists for the prestigious SLAS Innovation Award in 2018. InSphero has been testing and perfecting organ-on-a-chip solutions since 2011, when the company teamed up with ETH, AstraZeneca and other leading academic groups in the EU-supported research project Body-on-a-Chip, that aimed to mimic the response of the human body as a whole to drugs for safety and efficacy testing. Working in collaboration, microfluidics experts at ETH Zürich and InSphero, were able to refine early prototypes of the system and create the basis for a higher order system suitable for applications such as low clearance assays and metabolic disease modeling. InSphero has since been working on commercialization of the Akura™ Flow system to ensure the operational robustness and trustworthy results demanded by the pharmaceutical industry. Akura™ Flow is also the first technology to addresses important industry needs, such as short setup times of one week and the capability to automatically extract 3D microtissues from the device for downstream next-gen sequencing, histology or other rich endpoints. InSphero will be presenting on Akura™ Flow and 3D human tissue models for drug discovery and development at SLAS2019, Feb 2-6, in Washington, DC. The company will also be participating in the SLAS Exhibition and can be found at booth 848. For more information about InSphero, visit www.insphero.com.